Clearing the backlog #5: Epic Necrons assembled! 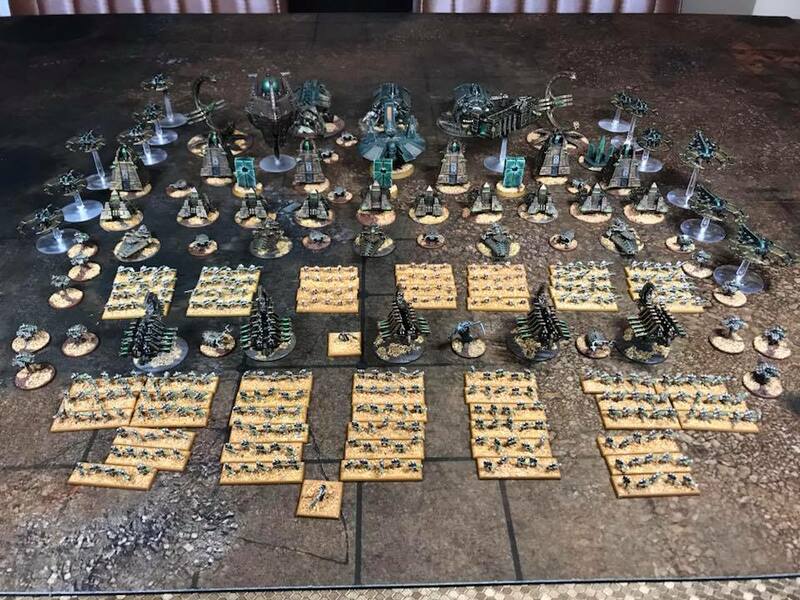 I played a game with my Epic Necrons a couple of weeks ago, and since I’d got all the models out of storage to assemble my army, I thought I’d take a moment to get everything out and take some “show us your hordes” style photos. 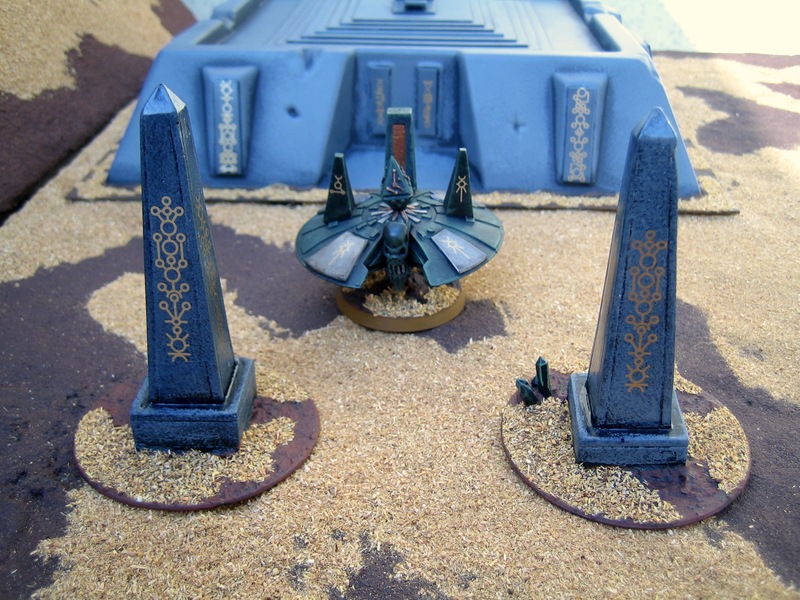 I still have some Canoptek Wraiths and some more Immortals to paint and add to the army. 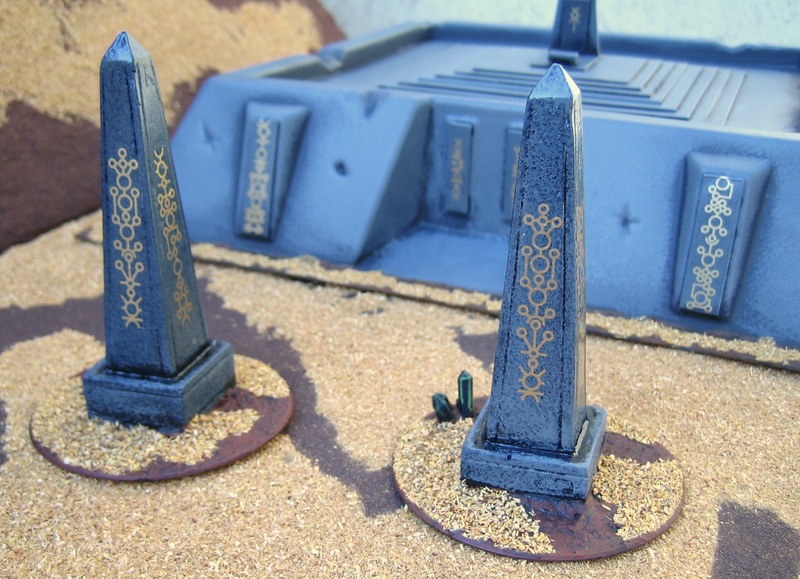 I’d also like some more Monoliths but I’m not sure I can get some that are the same design as the ones I have. 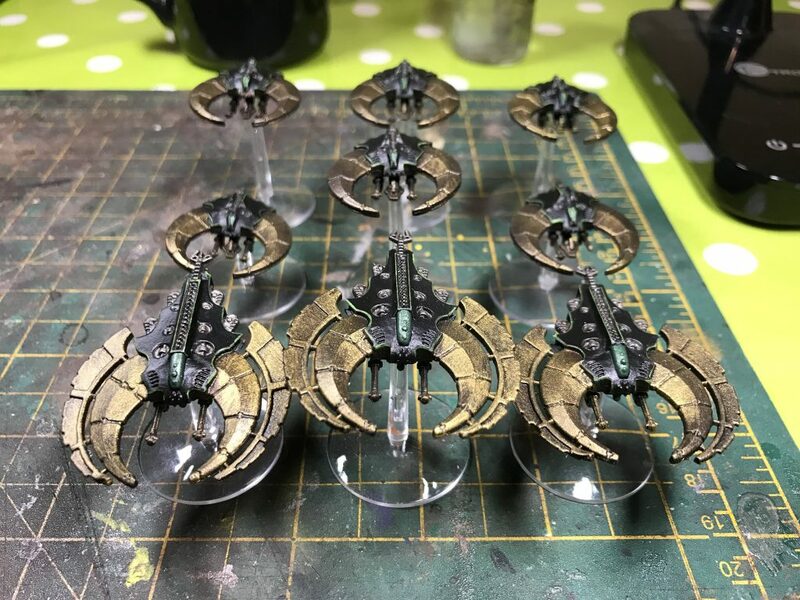 Also, check out my Necron fleet for Battlefleet Gothic and my 40K Necron army! 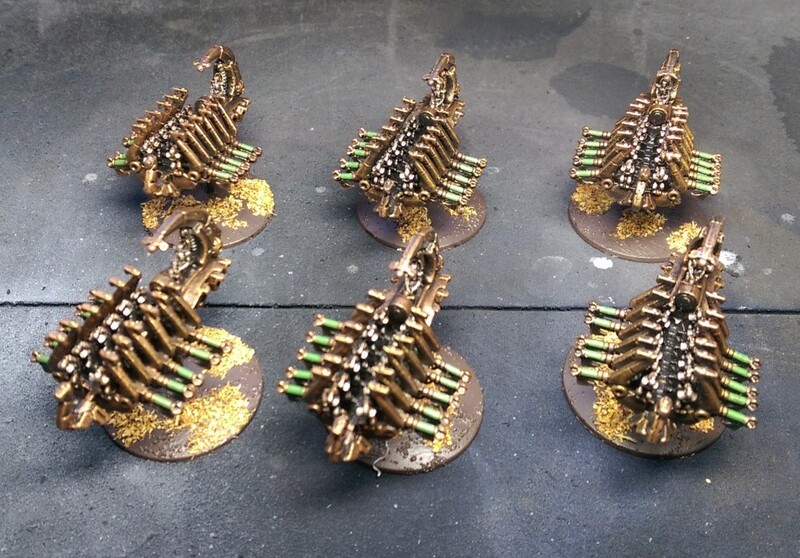 Here are some Doom Scythes and Night Shroud bombers for my Epic Necron army. 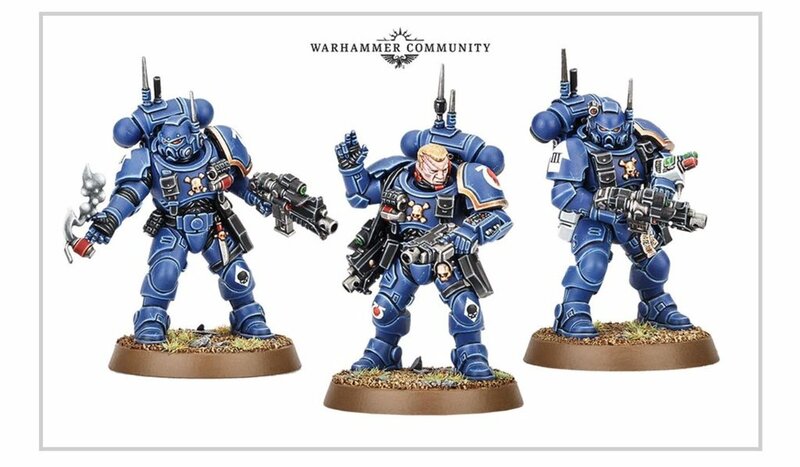 I love these models – they are beautiful and very easy to paint, and they are an absolute menace on the battlefield! 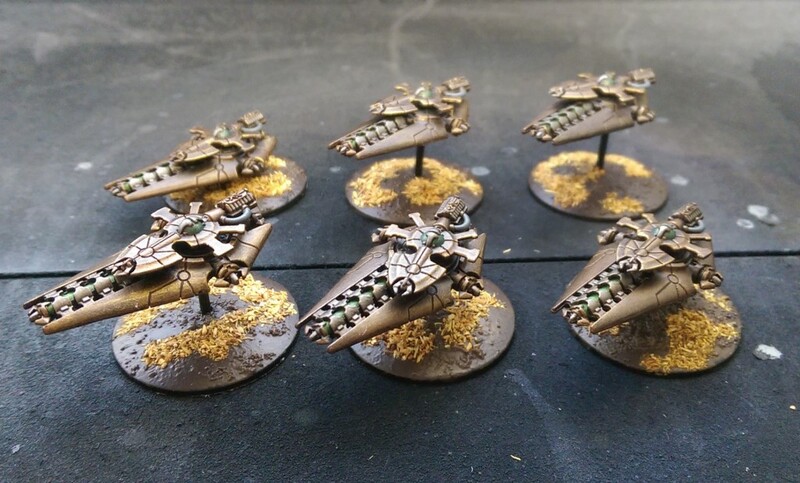 So much so that I added another squadrom of Doom Scythes to bring the total up to four squadrons of flyers for my Necrons, who haven’t lost a battle since I started using them. 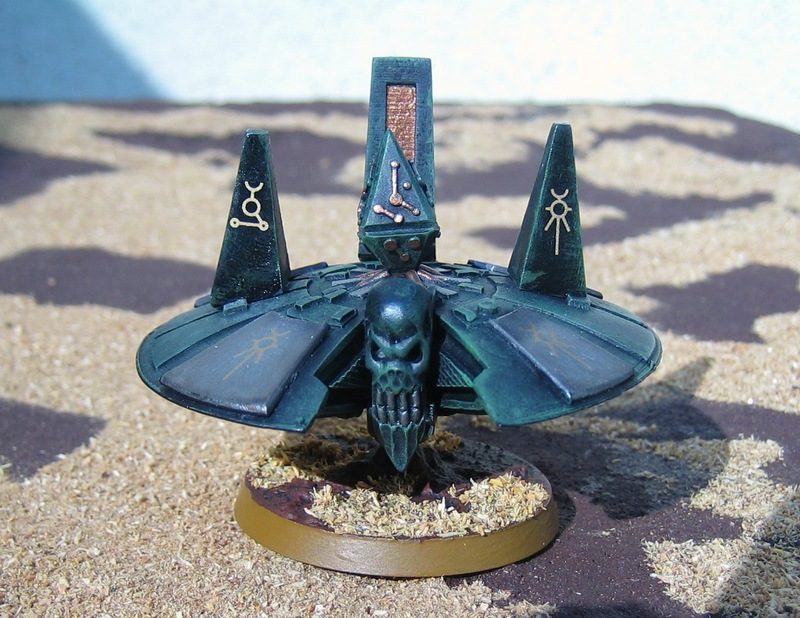 I’ve become a big fan of the Hawk Wargames “widgets” which are perfect for miniatures that use flight stands: simply glue the widget to the underside of the model and it will provide a high grip push-in plug for 3mm flight stand poles. 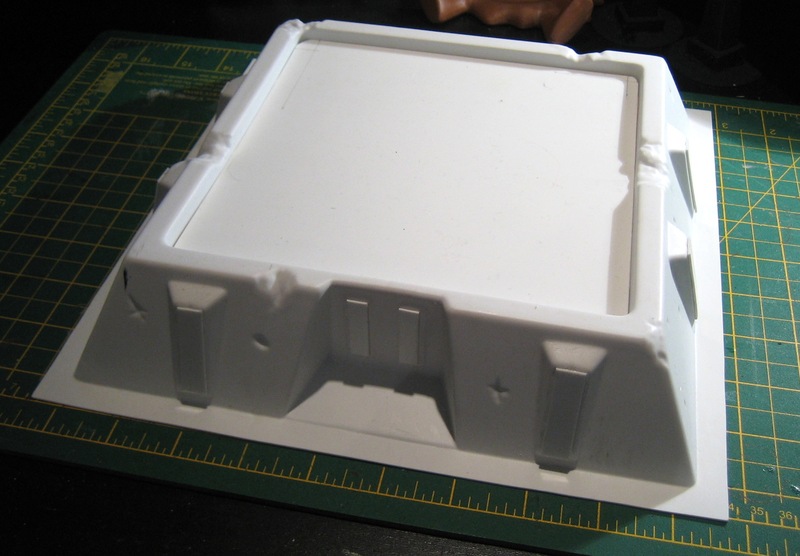 The model won’t wobble during games, and the flight stand can simply be pulled from the widget at the end of your games, allowing the stand to be packed separately. And only 13p each! 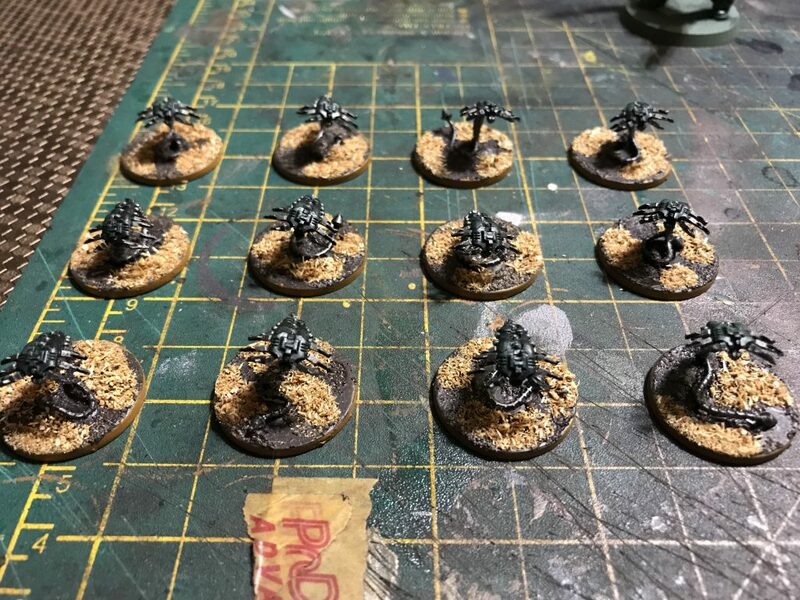 My friends and I are planning a big all-day Epic game next month and I decided that I needed to reinforce my Necron army. 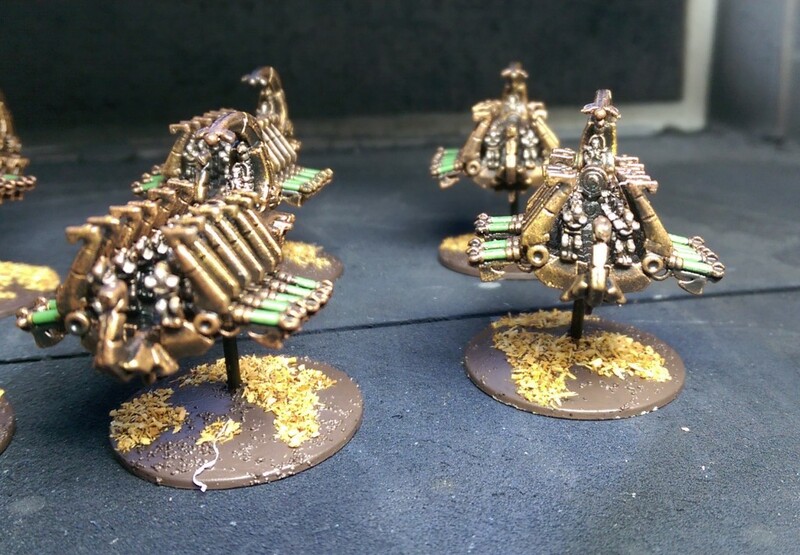 I picked up some Ghost Ark proxies from eBay – turns out I need another couple in order to field two legal units! D’oh! 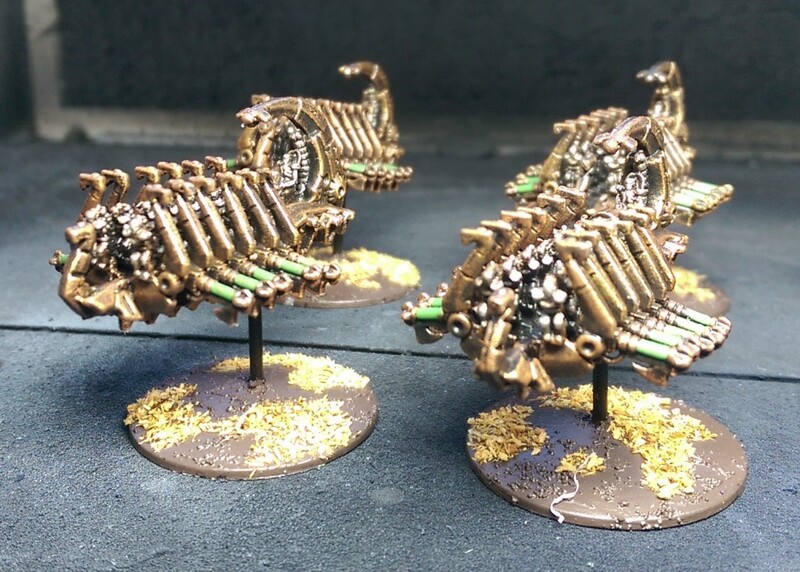 I also painted up some more kitbashed Doomsday Arks, similar to ones I made a while back. If you follow me on Twitter then you may have seen me live tweet a game of NetEpic played at my local gaming store, No Man’s Land. 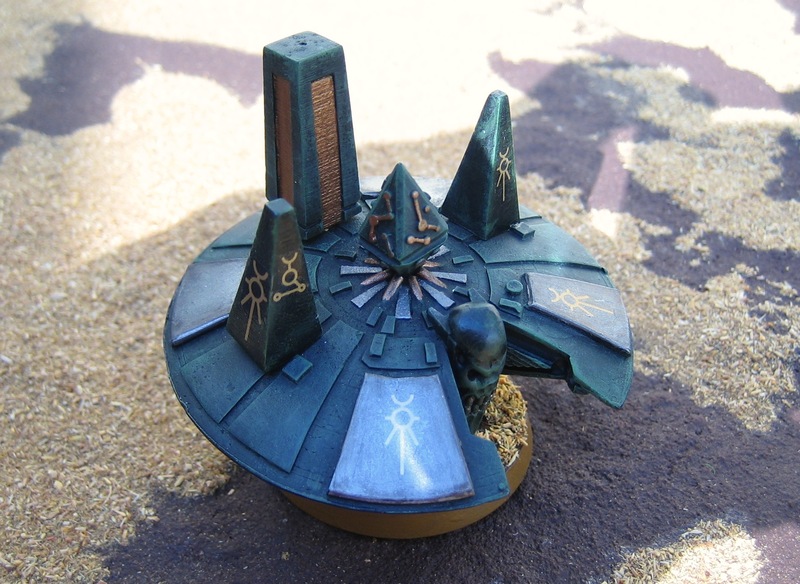 It was 6,000 points of Necrons and Squats played over a city table: I was very pleased to be able to use a load of new terrain pieces including some GameCraft fortress walls and the finally finished Kibri cathedral. Every now and then you have one of those days when a load of stuff that seems to have been work-in-progress for months all gets finished in one day. Today has been one of those days for me! 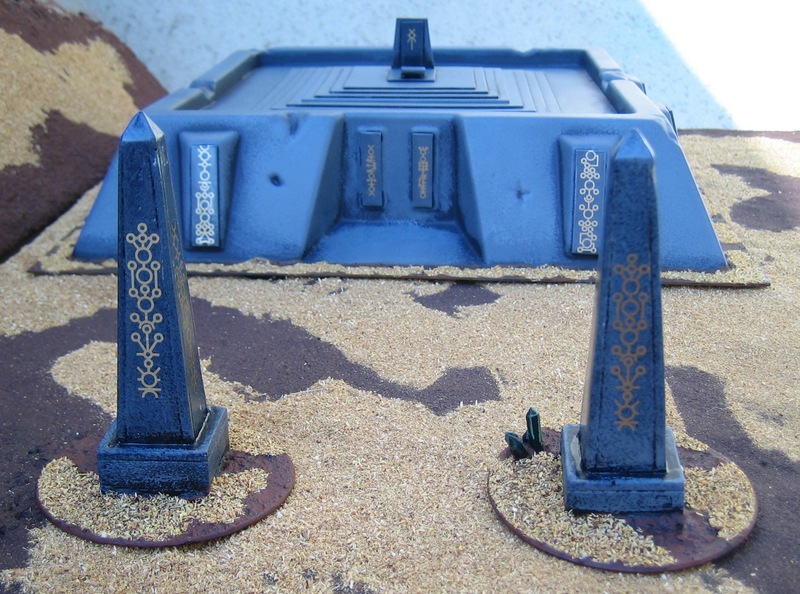 First up is the large tomb structure that I’ve featured in the last two posts. 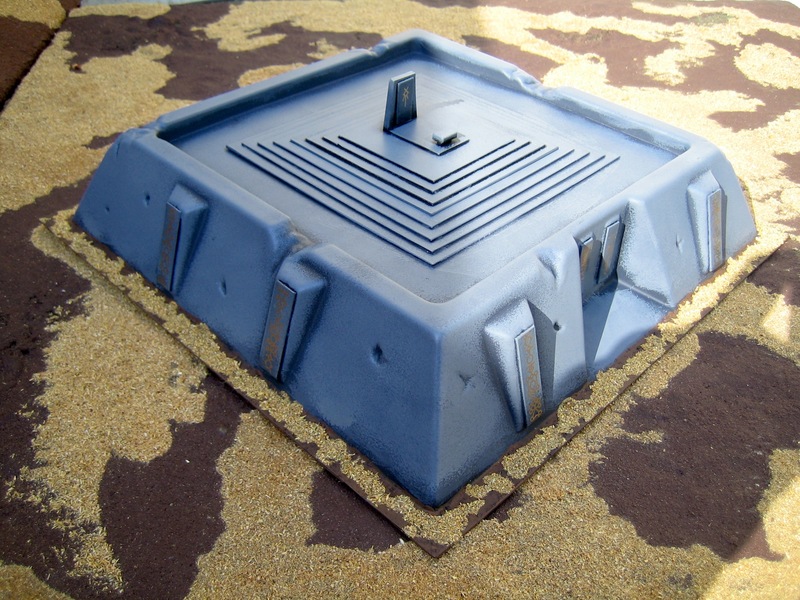 It was initially sprayed black. 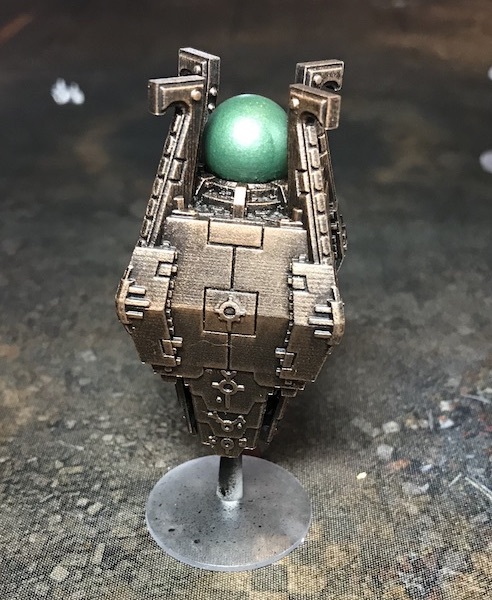 I tried a number of different techniques to give it an aged stone appearance, including stippling and airbrushing, and I even got out my old airbrush to give that a try! In the end I used an old bath sponge to apply successively lighter shades of gray.  Then I just needed to texture and flock the base and apply some decals from Games Workshop’s Necron Transfer Sheet. I met Tom Webb of Steel Crown at Salute earlier this month and he’s a very nice chap. Go buy his stuff! Lastly there’s the board I used to take these photos with. 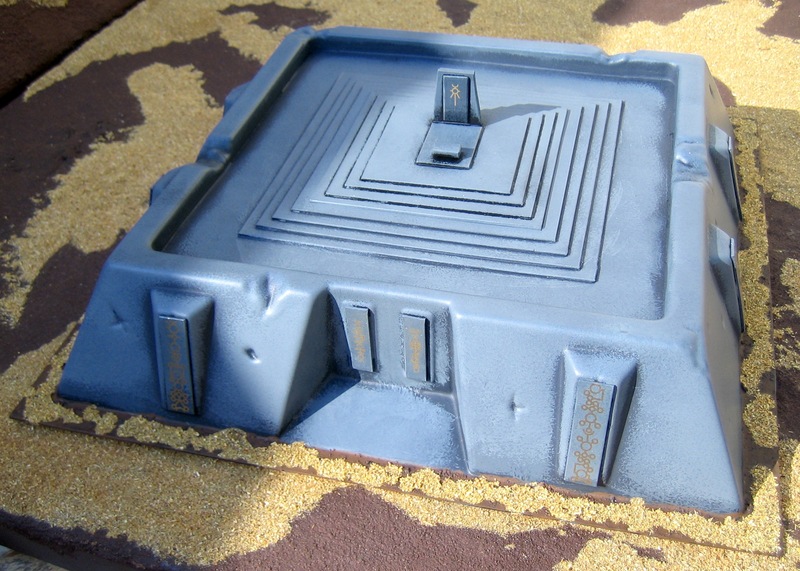 This is one of six Ziterdes modular gaming table modules that I bought a few years ago and use for Epic games. 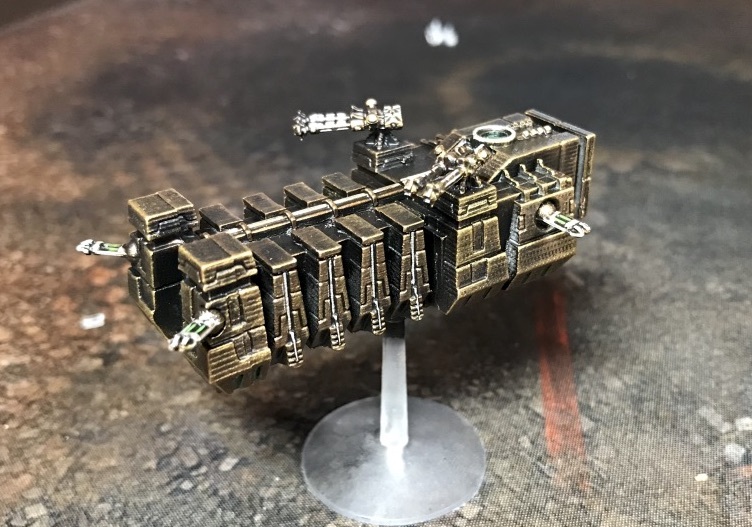 They were originally painted using car body sprays, but I’ve never been very keen on the shiny finish that they picked up, so I made up a texture paint using brown craft paint, aquatic sand and PVA glue (similar to the “concoction” used by Beasts Of War), which gives a nice flat muddy finish, and is flexible as well. 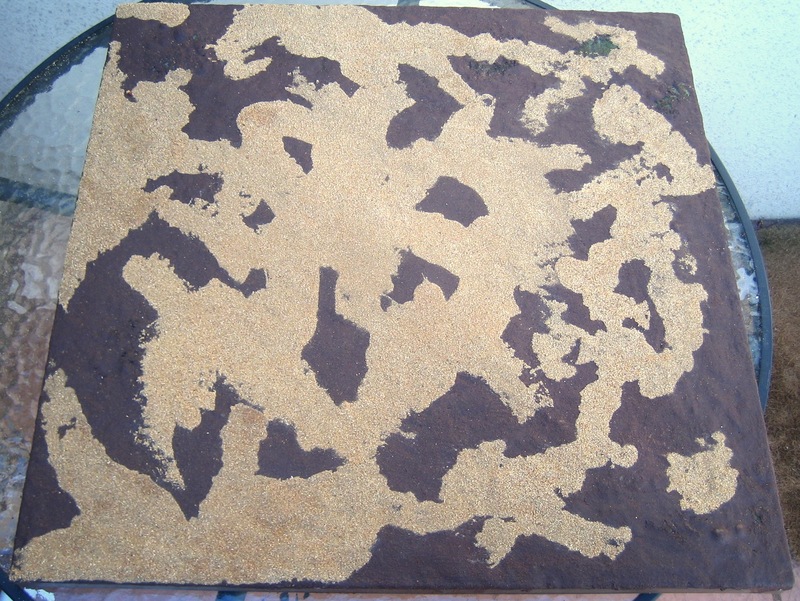 I then applied some of the same flock I use on my Epic necron model’s bases. 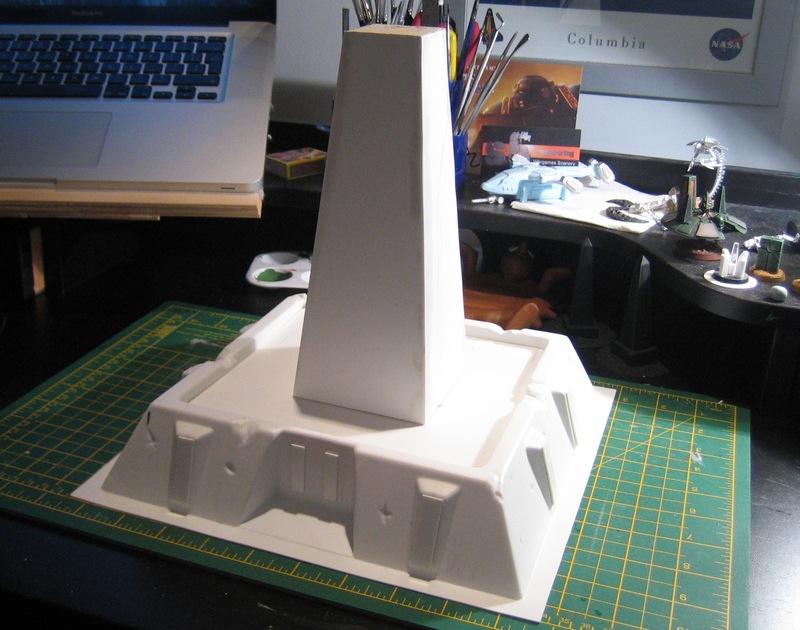 The original piece is a 28mm scale defensive wall, so I cut out a square of plasticard and placed it on top of some balsa wood supports that I glued to the inside of the walls.